3 to 4 year old American bull terrier. Big baby and loves to snuggle. She wants to be your one and only. Excellent house manners. Crate trained. Shy at first but as soon as she gets to know you she will be your very best friend and companion. 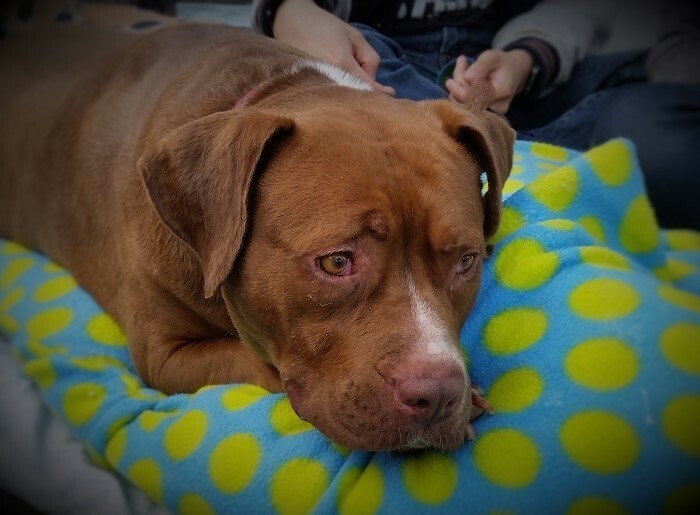 She gets along with other dogs but we want her in a home where she is the queen and the center of your world and you will be the center of hers, she so deserve that. She will make a loving life long companion. 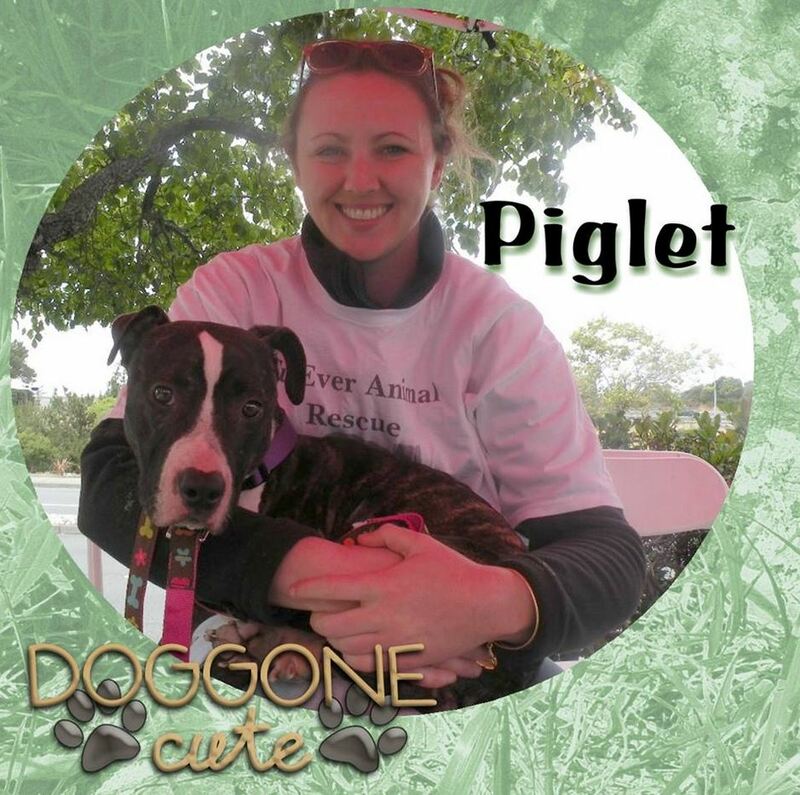 Please make her dream come true and make her a cherished member of your family! 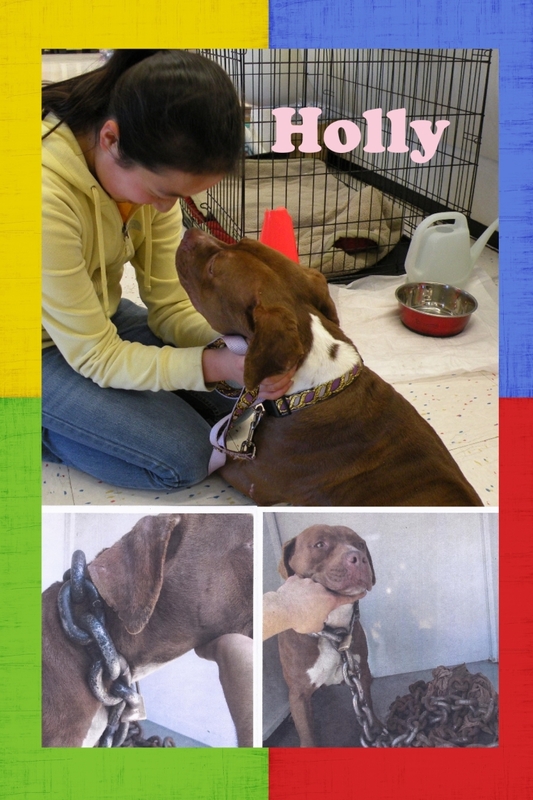 ​Sweet Holly who is about 4 years old was found dragging a 65 pound boat chain and pad lock around her neck. This poor girl didn't even weigh 65 pounds! The chain caused some open wound to her neck but those are all healed. She is gentle and sweet. Has great house manners. Crates well. Is dog social but barks at cats so needs a NO cat home. Enjoys spending time with you lounging in the backyard. Loves her big fluffy bed and a good movie. Loves to go for car rides. She is a total people person dog. Has a great personality. Please make Holly's Christmas dream come true and make her a part of your family! Holly's dream of a family to love and cherish her for a lifetime has come true!